Producing robust variable-output power for electronic applications has not always been easy. Even now, in many higher current and high voltage applications, variable voltage sources that use modern electronics can become expensive and less robust. Here, Steve Hughes, managing director of power quality specialist REO UK, explains why AC DC variable voltage sources are still essential in testing applications. Historically, variable transformers were the most efficient way to produce output power for a given application. They would achieve this by using a brushed gear that would move over the windings, adjusting the output voltage to any level required. Used in combination with rectifier circuits — circuits that convert alternating current (AC) to direct current (DC) — variable transformers provide a variety of benefits such as being able to control the speed of a motor, or providing precise control in electroplating or electrophoretic paint-coating processes. Even old fashioned impressed current cathodic protection (ICCP) power supplies, which were designed to tackle corrosion in marine applications, used variable transformers. However, as the demand for current and voltages increased, variable voltage sources began to be made from modern electronics. Unfortunately, these can become more expensive and less robust when dealing with high power applications. Many modern variable power systems require protection circuits to offer trouble-free use and suffer from problems such as harmonic currents and electromagnetic interference (EMI), which can lead to overheating, overload, short circuiting, unnecessarily high power-consumption and shorter equipment lifecycles. One of the most popular uses of variable AC DC voltage supplies is in test applications today, where there is often a need for the test power-supply to be frequently exposed to high inrush currents and short circuits. Inferior power supplies can necessitate frequent fuse replacements or, even worse, lead to semiconductor failure. Variable transformers are often used in conjunction with an isolation transformer to form a safe, isolated supply or with a high voltage transformer to provide a high voltage (HV) supply if the application demands it. They are usually rated from 1A to 32A. However, they can be designed to achieve power ratings up to 1MVA. Their robustness means that variable transformers are perfect for test bench applications. The typical short-term overload of a variable transformer is ten times nominal power for 0.5 seconds, a much higher capability than test-power systems that use modern electronics. 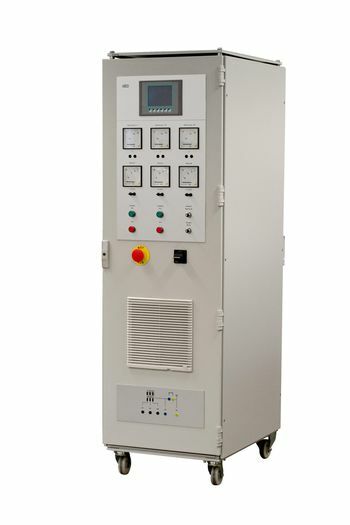 Today, REO UK supplies robust test power supplies for cable testing, railway traction, connector testing, as well as any electrical application that requires test power to be smooth, stable and free of EMI. REO's variable transformers also overcome a traditional limitation of this kind of power supply, which was that it had to be physically adjusted using a control wheel. However, recent developments with servo motors and feedback regulators mean that they can now be controlled automatically. What's more, REO manufactures control electronics that allow them to be regulated using current or voltage feedback that is compatible with fieldbus networks using standards such as ProfiNet or CanBus. For engineers looking for a robust variable output power supply, it's easy to overlook variable voltage transformers. However, these should not be taken for granted, offering distinct advantages in testing applications. To find out more about test power supplies for your application contact a representative today on 01588 673411.